Rain falls on the windshield. 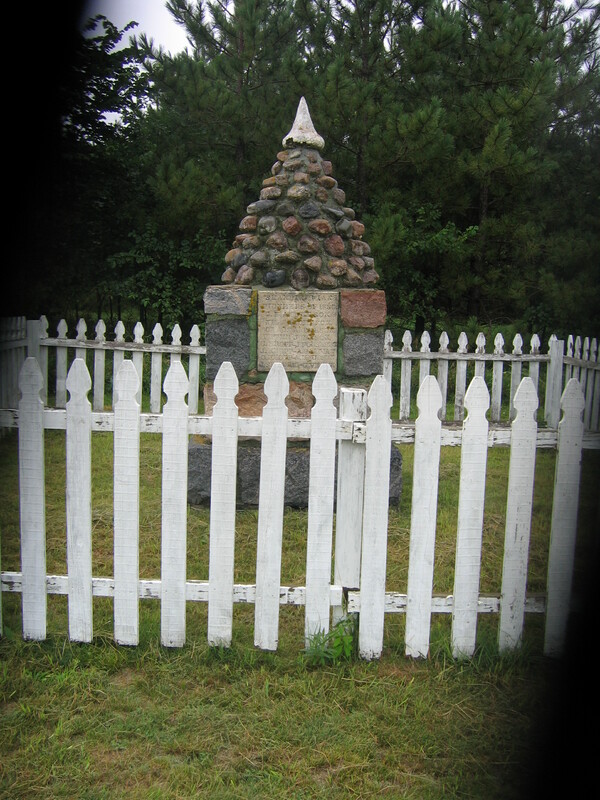 Drive West out of Wadena, Minnesota on State Highway 29 into Compton Township. Turn left onto County Road 77 at the edge of section 10. Take another left about a quarter mile in onto a two rut lane of sand and gravel across from an Amish farm. Drive through the horse dung, set the car in park, and look left. 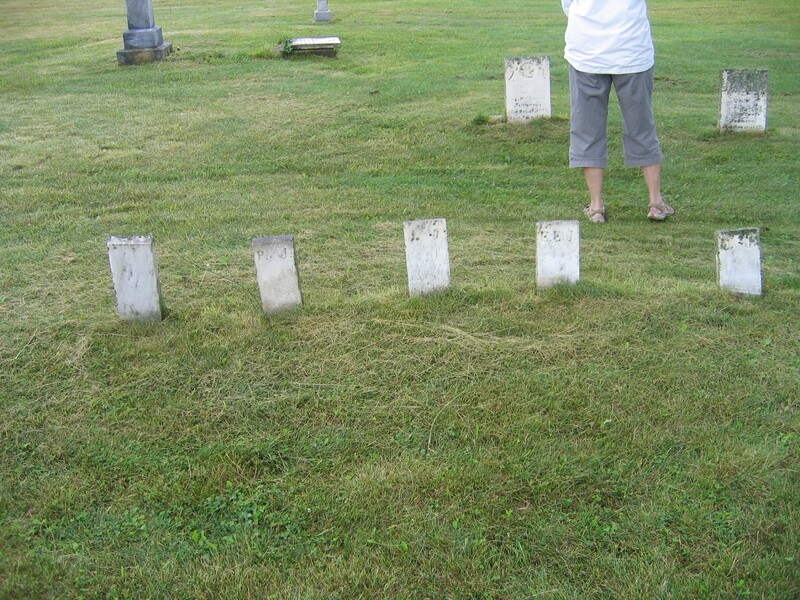 The older folks in my family call it the Prairie Cemetery. It’s prairie all right. Grass is plentiful and so are fields of corn one year, soybeans probably the next. A large grove of fir trees to the North and a bit to the East break the winds. A small wood sign marks the place. 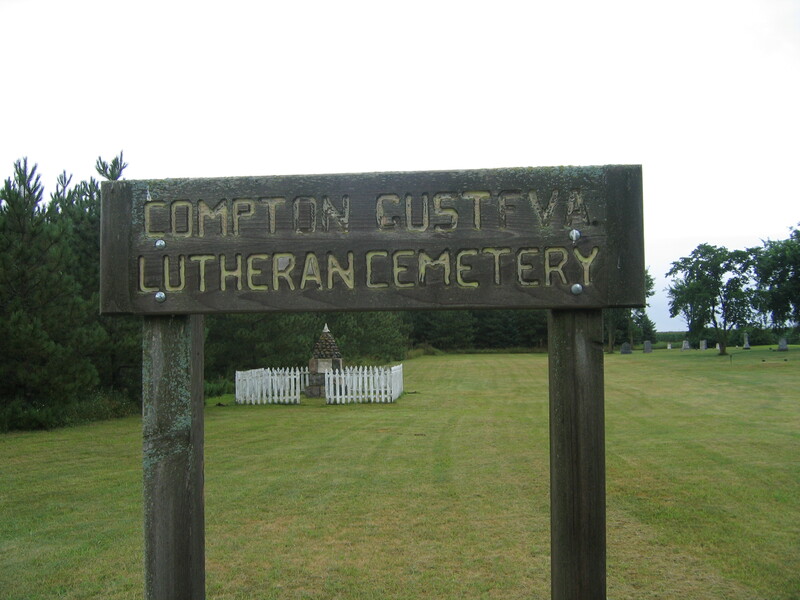 The sign marking this place as Compton Gustfva Lutheran Cemetery. It was raining the day we stopped by four years ago on a bit of whim. 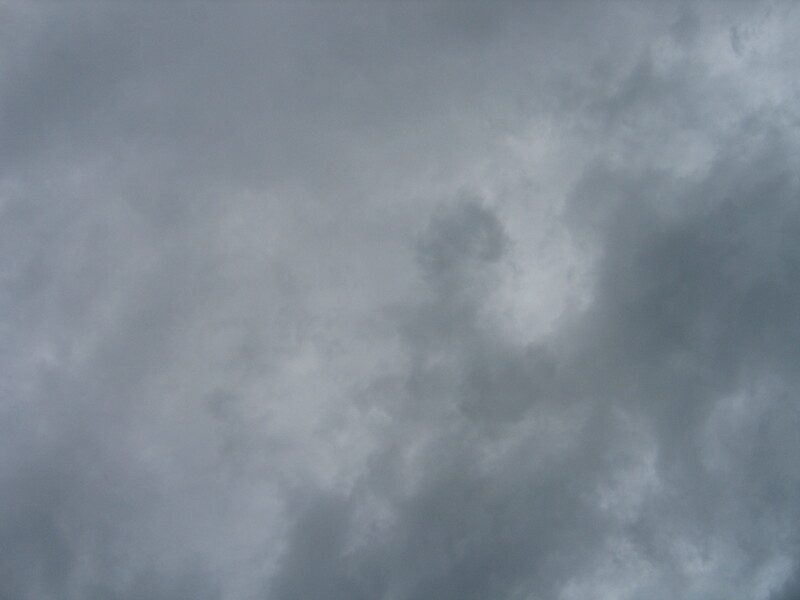 The clouds hung low in the sky which is typical weather for this northern inland place. August is preparation for winter after all. 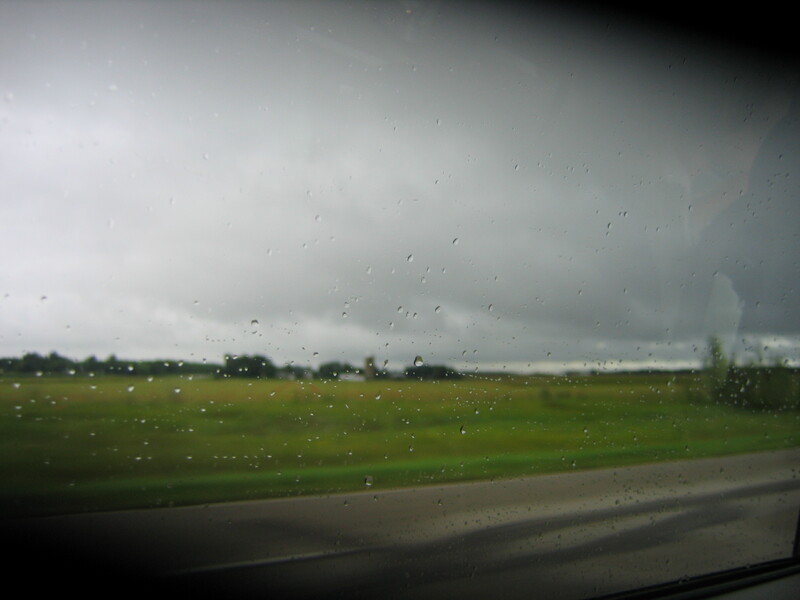 Rain spat on the car windows before finding a steady rhythm as I drove south on U.S. Highway 71. We had just come off the lake near Bemidji and had a long day of driving before us. My husband had the worst case of “lake itch” I had ever seen. One of the boys had it too and the other one was just knee deep into his fourteenth year which meant he ate all the time and when he wasn’t eating he was complaining or suffering from glossy-eyed screen syndrome. But we were so close to this place which had haunted me for seventeen years that I tensed and ached and just had to plow through the push back to stop by for a visit, my second visit. Thankfully my mother was game for the adventure. 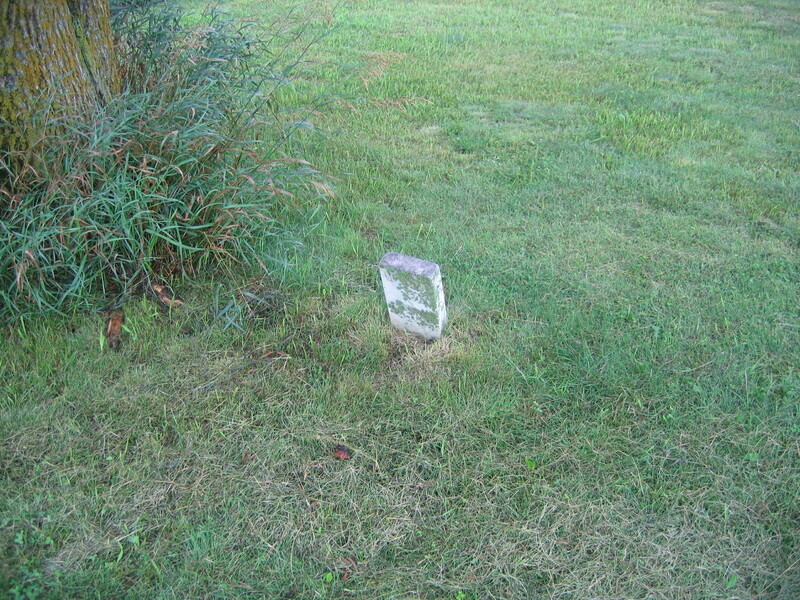 My first visit out to the Prairie Cemetery had been late September of 1994. I was up for Great Aunt Mabel’s last picnic and had not been in these parts for years, maybe even a decade. Dad was in a rambling mood that weekend and we rambled all over the county eventually ending up at this ghost of a cemetery. The place immediately confused and intrigued me. 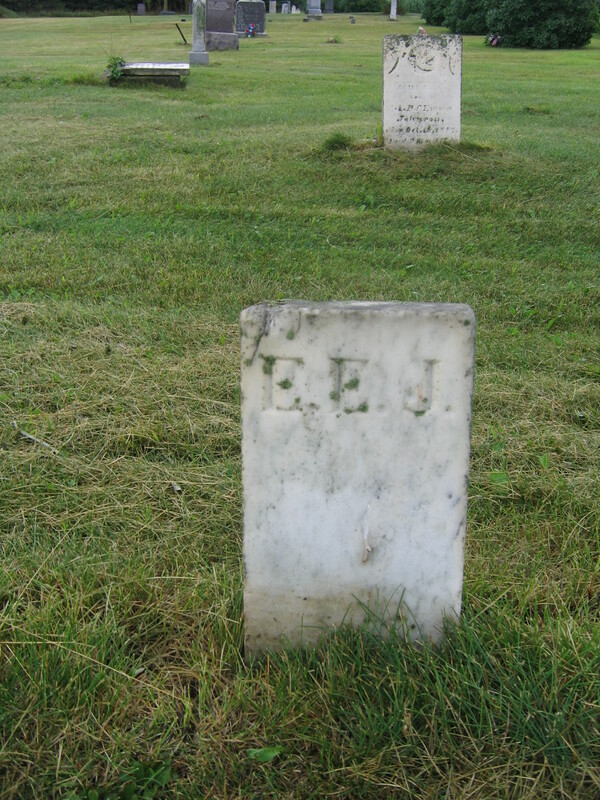 The Prairie Cemetery was not “the” cemetery—the one a few miles away down in section twenty near the farm where Dad grew up and in which it seemed I was somehow related to every tombstone at least once if not twice. 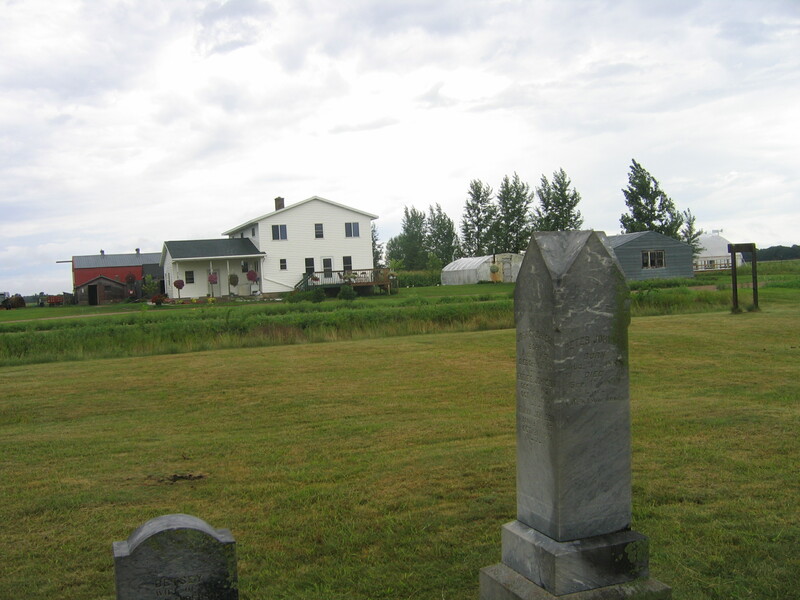 Now I was learning the Prairie Cemetery (called that because really who now can pronounce ““Gustfva” with any air of authority even if descended from Swedes) was somehow connected to us as well at least according to Dad. The connection for me though was as buried as the graves. A solitary grave underneath a tree. The cemetery reeked of age. The stones were primitive and the writing worn. Thin small stones dotted the green tipping slightly to one side or the other, not like the heavy markers we now plant in such places. The ground was swallowing some of the oldest stones bit by bit as if they were no longer necessary or made better use of as organic material for a graveyard compost. 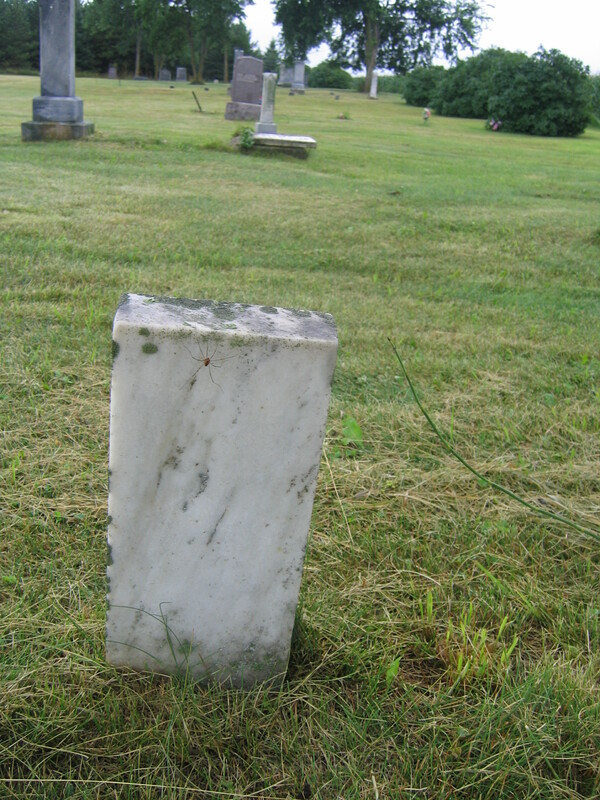 Thin stone with fading script. Maybe there had been an order to the place back in its day but now the stones seemed scattered and mostly forgotten. I wondered if some graves were now unmarked given the large spaces between groups of stones or the occasional solitary one. Obviously the place was old, the dates on the stones confirming this. Now dodging raindrops and snapping pictures—something I had not thought to do on my first visit—I was struck by how my memory twisted many of my first impressions. These impressions had been visceral like an ancient connection to previously unknown kin warping my sense of reality. I now saw the monument was not a grave. The white pillar was not a monument. The names where not just strangers. On this second visit I had a purpose. I sought tangibles: facts, truth if possible, and maybe even some wisdom. I clicked photos of each piece of interest and scribbled notes feeling like anthropologist discovering an ancient people. How long had the family been in the area? Had they come down from Carver? Four years later I have put facts to some of these notes, family legends to others. Some notes I continue to puzzle out as questions create more questions along with frustrations. I am certain of one thing though–this place waits to tell its stories.